Cercle FSER | Evo-devo or how to explain the animal morphological diversity? 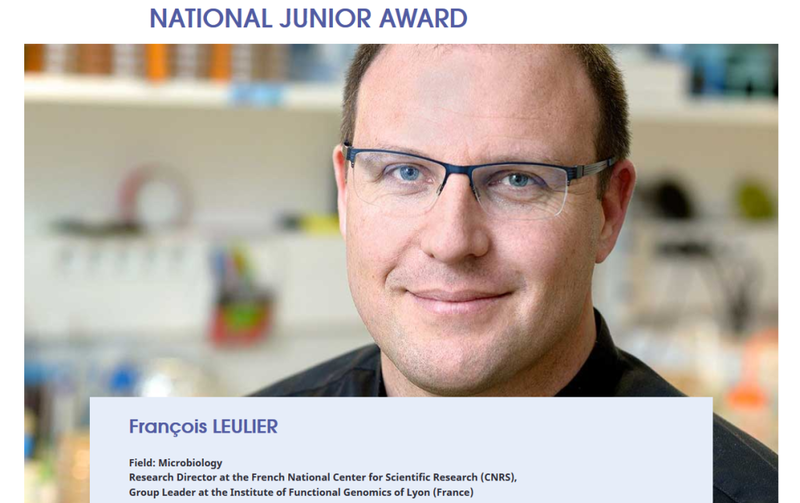 In the 6th edition of the Prix Sanofi -Institut Pasteur, François Leulier was given the “National Junior Award” for his work in Microbiology. He was awarded for his research in the positif impact of some bacteria growth as a way of helping chronic malnutrition. The work of François Leulier and his team showed that this “bacterial partners” could help someone with nutritional stress and chronic mal nutrition. They could also, under certain conditions, help with the grouth of the young who suffer this condition. This could help to develop better treatments for the grouth of the young mostly in countries in which the population is vulnerable to malnutrition.